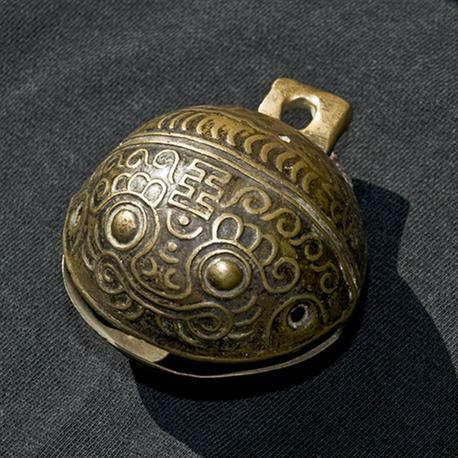 The information which follows is, as far as I can tell, unique in offering an insight into the use of ‘Tiger Bells’ across several cultures in different continents, including shamanic usage. On the ‘forehead’ there is a Chinese character , the character Wang. It means ’emperor, royal’ and is usually found on Chinese representations of tiger’s heads such as this toy tiger.